About | you are here. My name is Elsa and I’m from Vancouver, BC but currently living in The Netherlands and studying architecture. This blog started as part of a promise to myself to do more photography. I’m very interested in architecture, design and cities and I enjoy exploring places and sharing my experiences through photos. I’ve also fallen in love with film photography over the past year, and currently use a Voigtländer Prominent, Olympus OM-10, Canon AE-1 and also a Canon Rebel DSLR. Nice to meet you [electronically] Elsa. I too enjoy the sensations of capturing a beautiful moment through a lens. I look forward to learning more about you and seeing more of your work. Hi Danielle, nice to meet you as well! I stopped by your blog and I’m looking forward to reading about your culinary explorations. Thanks so much! Nice to meet you as well.. and sorry it took so long to respond.. I’m usually more on top of things! i love that you use film. you take great photos! Thanks! 🙂 Glad you stopped by! If you are able to get it try some Provia 400X as well, great film. If you have troubles getting it, I can surely send you some rolls. I wasn’t able to find much Fujifilm at the store here in Delft. They did have some Kodak Portra, but I really don’t know much about the specifics of the films and which are best. Would you mind to participate. Oh, thanks! I should do the same.. I’m bad with keeping up with that kind of thing. And I’ll definitely participate in the challenge, what a cool idea! Hello! Really appreciated your vision, and creation, via photography. Keep up your dedication to it, the world can use more architects with vision. Thank you for your kind comments and encouragement, Christopher! discovered today but loving the blog’s atmosphere and your photography. I force myself to shoot more photos with remind myself that I had invested money in DSLR… lol.. anyway, major gap is “free time”..
Yeah, I often have that problem. School tends to occupy most of my time but I like to use photography as an outlet to get away from it sometimes. Your blog is awesome, I love it when I look at someones pictures and it actually transports away me from my desk that I feel chained to for 8 hours a day. You have also inspired me to get out my old 35mm slr and experiment with it. Wow, thanks for your comment! I’m glad you’re going to try shooting film again.. I think it’s way more satisfying than digital [although I use both quite often]. Enjoy it! Hey, thanks so much! Glad you stopped by. Your photos are so lovely! I’m nominating you for the Liebster Blog Award! I am glad to have discovered your blog! Hai Elsa.Im Malaysian.I love your photos.I’m learning blogging at wordpress.Thanks.I stopped at your blog. Here I am! Just a baby to blogging! I really love your blog. The photos are spectacular and it was a pleasure to enjoy them!!! I will visit more often! Ciao for now!!! You: vancouver, paris, and the netherlands. Me: Vancouver, paris, belgium. Enjoying being your virtual travel mate. Maybe we’ll hear from you sometime? Hey Elsa, love your blog and love your photos! nice tones! I love how your photos are not watermarked instead there’s a disclaimer here, generally i find watermarks to be kind of disturbing. will be following your blog looks promising and do you wash your film by yourself? Thanks, yeah I agree about watermarks. I don’t know, I’m not fond of my photos ending up elsewhere without my permission but what can you do? Usually I get my film developed at a local store but I have developed a few rolls myself in the last few months. Nice blog, Elsa! Thanks for taking the time to share your experience in photos. You have a beautiful blog. I love your photos & seeing all the places you have been. 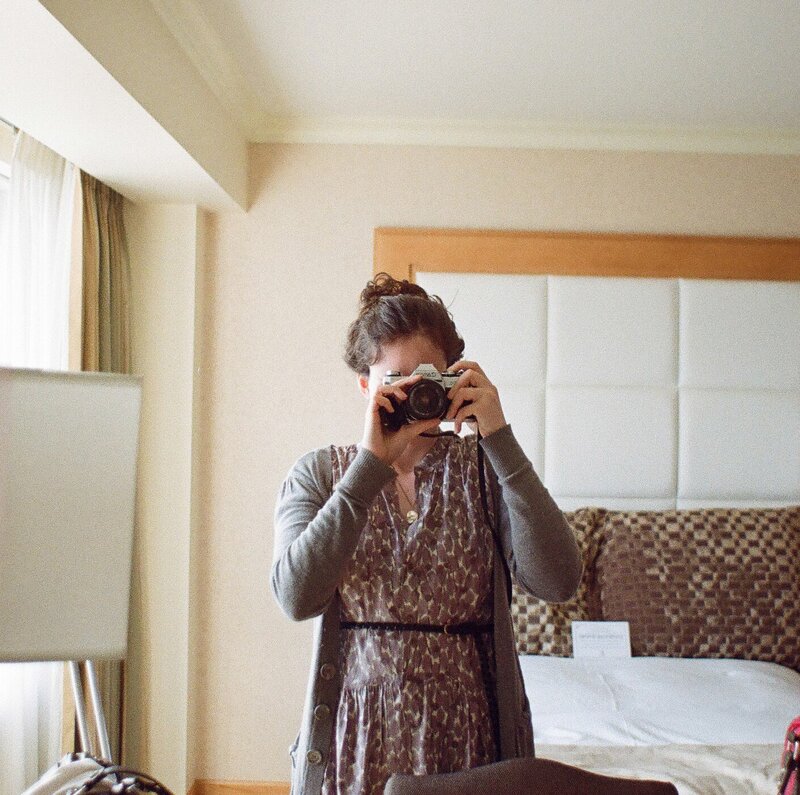 Traveling & photography are two of my favorite things & a blog with both is perfect. Looking forward to reading & seeing more. hello elsa..love the pics u capture..! I moseyed over here from Freshly Pressed, congratulations. 🙂 It’s always such a pleasure to find fellow bloggers in the NL, whereabouts are you living now? I’m in Utrecht, and loving it to bits. Hei Elsa,I’ll take you to my list.Nice photo so far.Thanks. I just stumbled upon your blog and I think your work is absolutely brilliant -love the style, the colors, every single picture is so beautiful! Spectacular! Your pictures are very inspiring. You have a talented eye! Hey Elsa, how are you? How’s Canada?